The Toronto indie-rock band Dilly Dally have revealed plans of new album this fall, and recently shared some new music off the upcoming album, a track titled "I Feel Free". And as it marks their musical comeback since their debut album Sore (2015), this track speaks about the band putting the past behind while the video shows the singer Katie Monks digging her guitar and also her bandmates out of the graves for a fresh start. Directed by Katie herself, the video can be seen below. 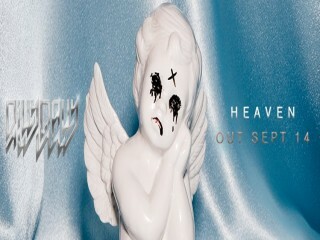 Heaven arrives September 14th, and will include a number of 9 tracks, and was described by the singer as "doom metal vibes with lots of positive messages" and also added: "This feels like the album we’d make if the band died and went to heaven." Just can’t wait for the full grunge sound of the album, you guys stay tuned for more details.